(CNN) - Gov. 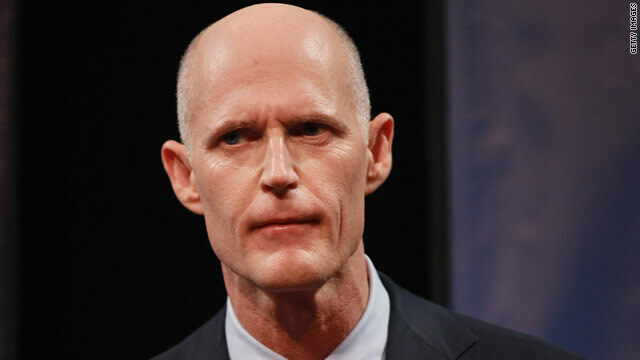 Rick Scott of Florida on Saturday said he requested a review of his state's voting processes with a particular emphasis on areas where voters waited four hours or longer to cast their ballots. More than 8.5 million votes were cast this year, Scott said, an increase from the approximately 8.3 million Florida ballots cast in 2008. But last cycle, the state allowed two weeks of early voting, which was shortened this year to eight days. Election boards were permitted to schedule as little as 48 hours of early voting. "As part of this evaluation, Secretary Detzner will meet with county election supervisors, who are elected or appointed to their position - especially those who ran elections in counties where voters experienced long lines of four hours or more," the Florida Republican said in his statement. "We need to make improvements for Florida voters and it is important to look at processes on the state and the county level. We will carefully review suggestions for bettering the voting process in our state." President Barack Obama noted the long lines encountered by voters in several states in his election night remarks. "I want to thank every American who participated in this election," he said in Chicago early Wednesday morning. “Whether you voted for the very first time or waited in line for a very long time - by the way, we have to fix that." A previous review ordered by Scott drew controversy over the summer. The governor directed that local election boards review their voter rolls and remove names of people who appeared to be ineligible. CNN projected earlier on Saturday that Obama narrowly won the presidential race in the state. - CNN’s Gregory Wallace and Scott Thompson contributed to this report. So the Florida Legislature cut early voting, Rick Scott signed off on it as governor, and now he's demanding an investigation? I'm pretty sure I know what went wrong, but I'll need Gov. Scott's head X-ray to confirm. I think the GOP intended for Florida and Ohio to be snarled up, with lots of uncounted votes of dubious value, leading to the courts intervening. Get the case into the Supreme Corp, and President Romney wins. Gov Scott has no real intention of making it easier to vote in Florida, at least for most people.